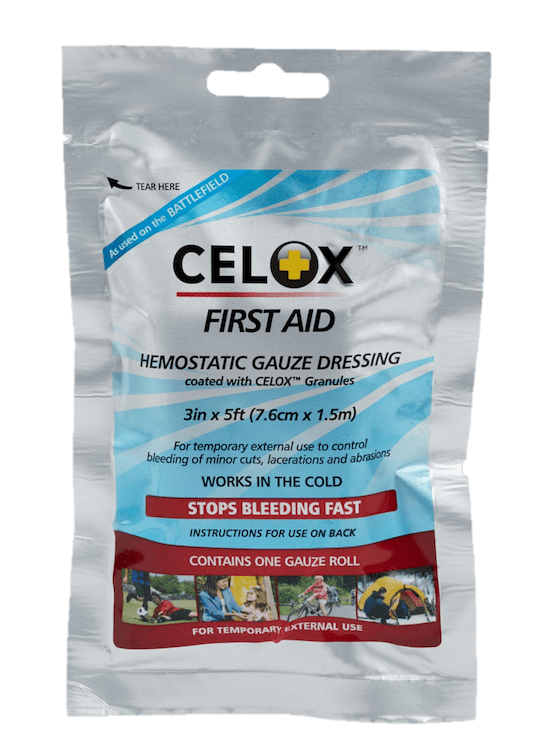 Celox First Aid Hemostatic Gauze Roll 5′ x 3″ coated with Celox Granules. A person who is bleeding can die from blood loss within five minutes, therefore it is important to quickly stop the blood loss. 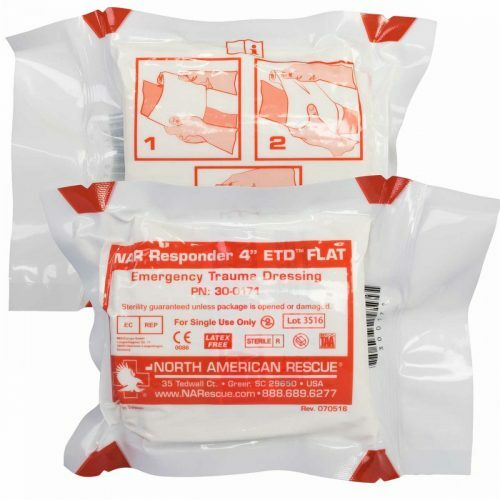 Stop the Bleed is a nationwide campaign to empower individuals to act quickly and save lives. 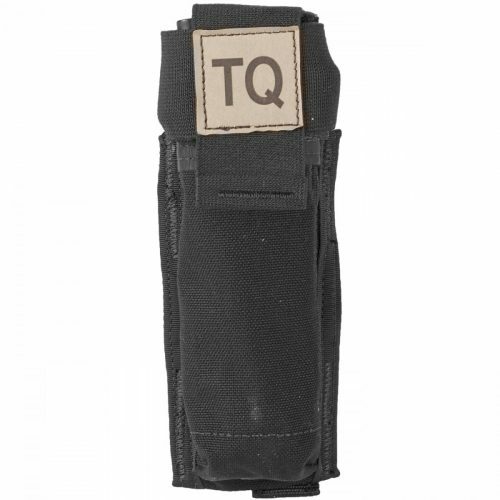 Bystanders can take simple steps to keep the injured person alive until appropriate medical care is available. 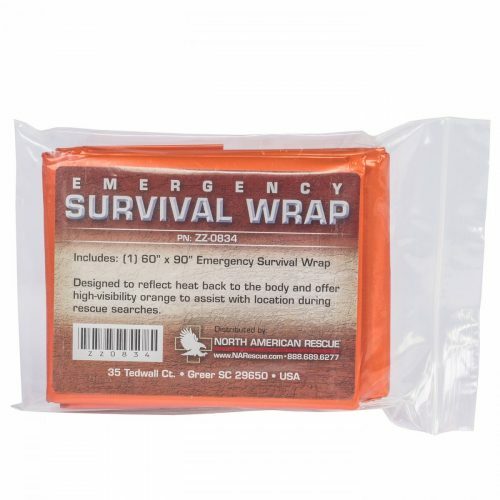 Celox Hemostatic Gauze Roll – tear it open, apply to the source of bleeding, cover and apply pressure. It’s that simple! Excess Celox™ Granules easily wash away. Celox™ Granules are bio-compatible any remaining residual granules are safely, naturally absorbed by the body.